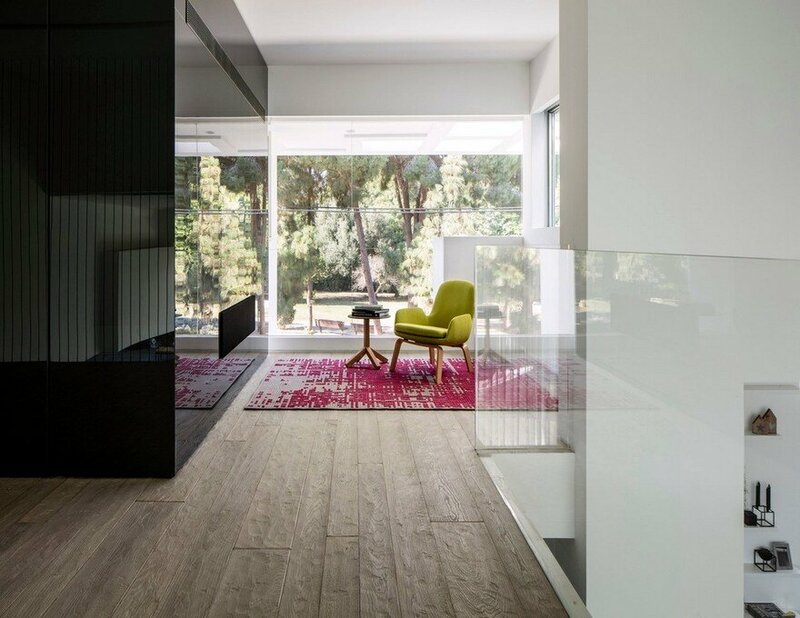 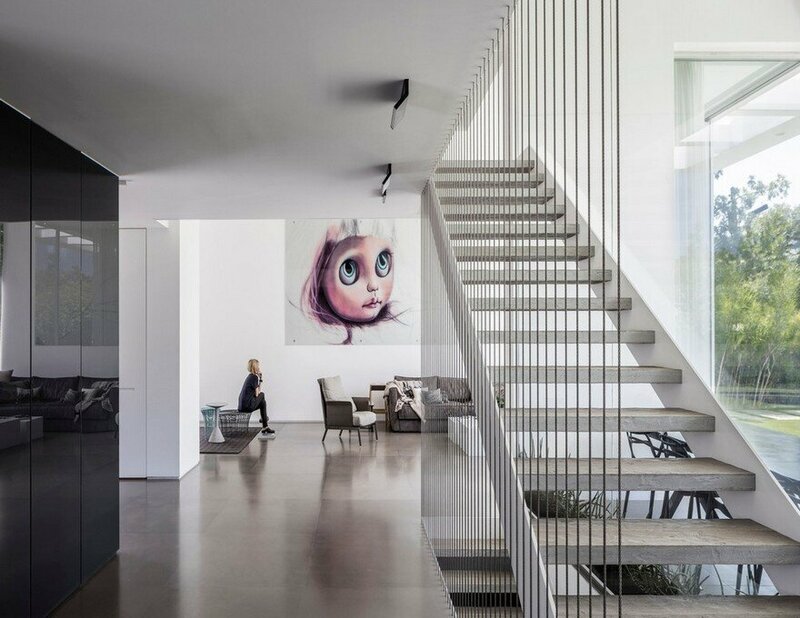 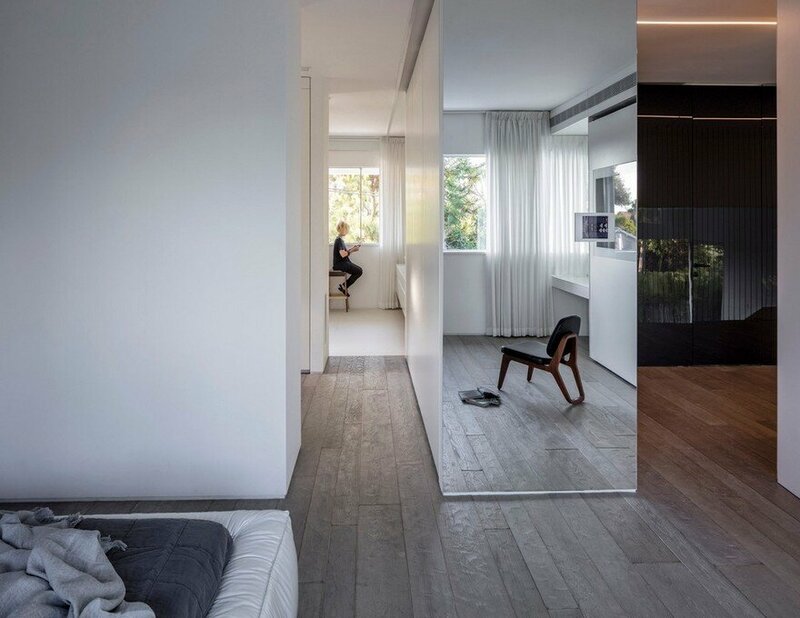 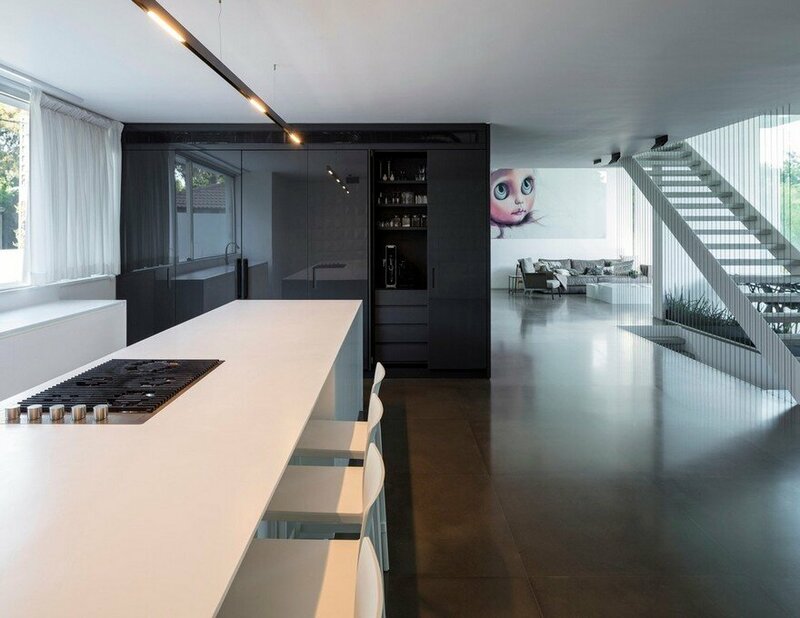 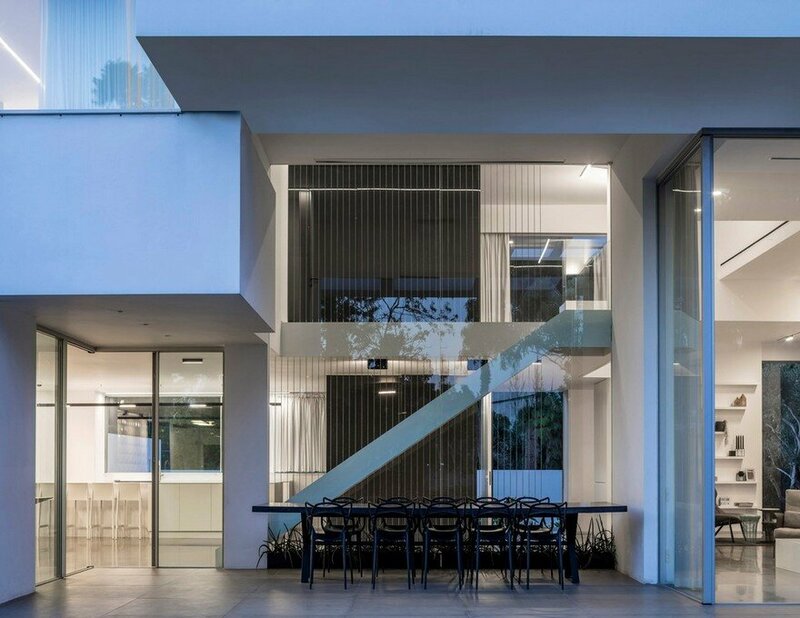 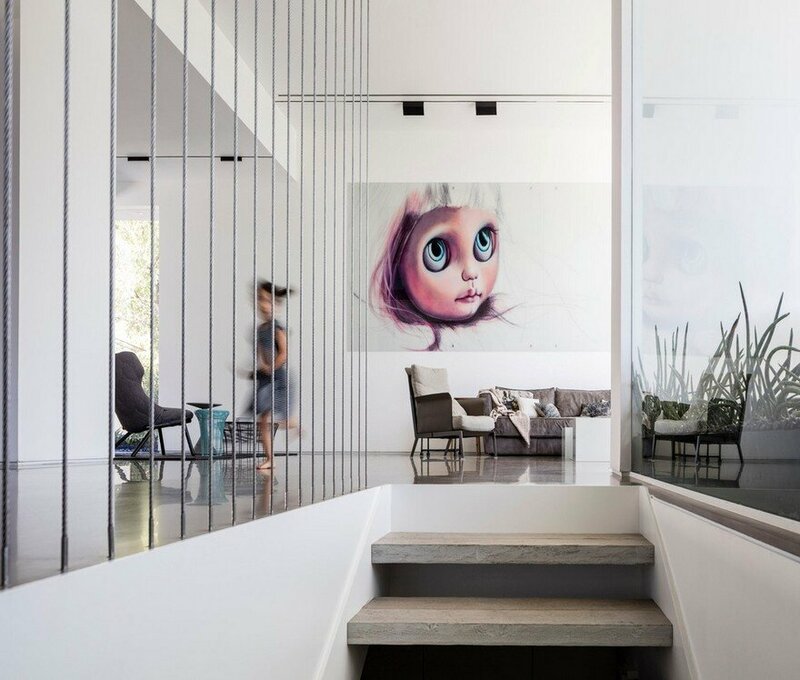 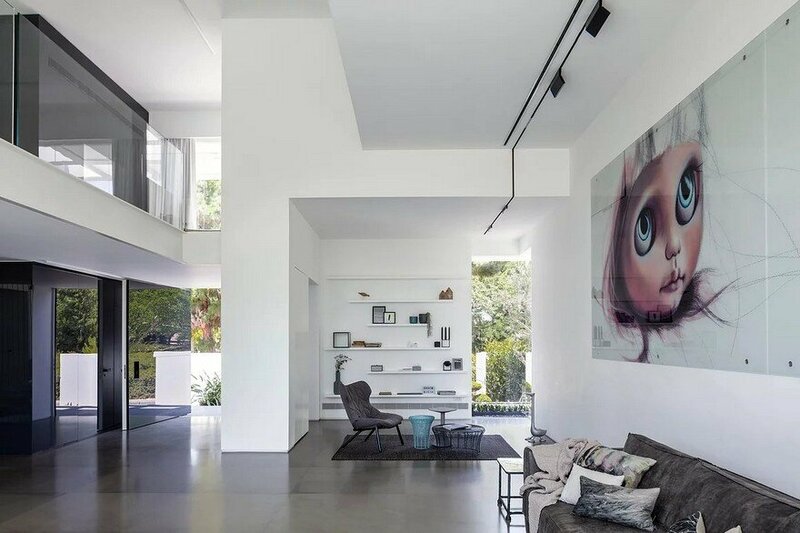 Axelrod Architects, led by Principal Irit Axelrod, recently transformed a single-family house in Tel Aviv to reflect the homeowners’ love of serenity and sleek modern design, and the firm’s vision of modern residential architecture. 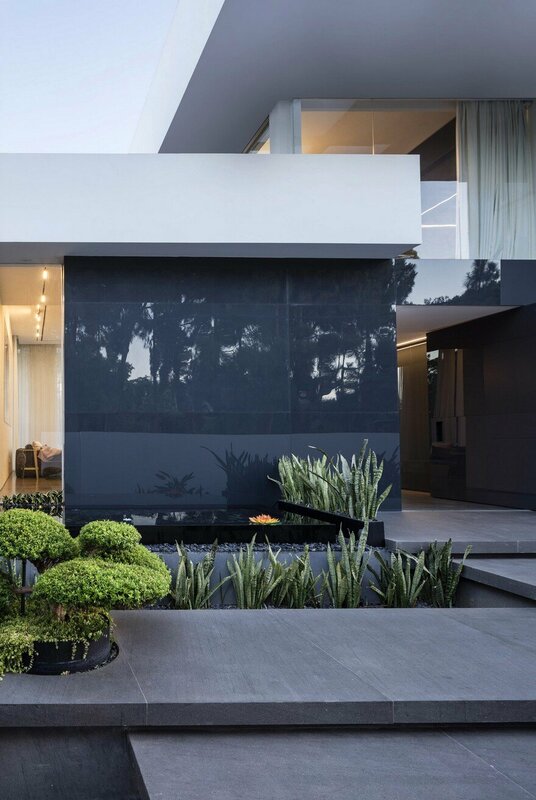 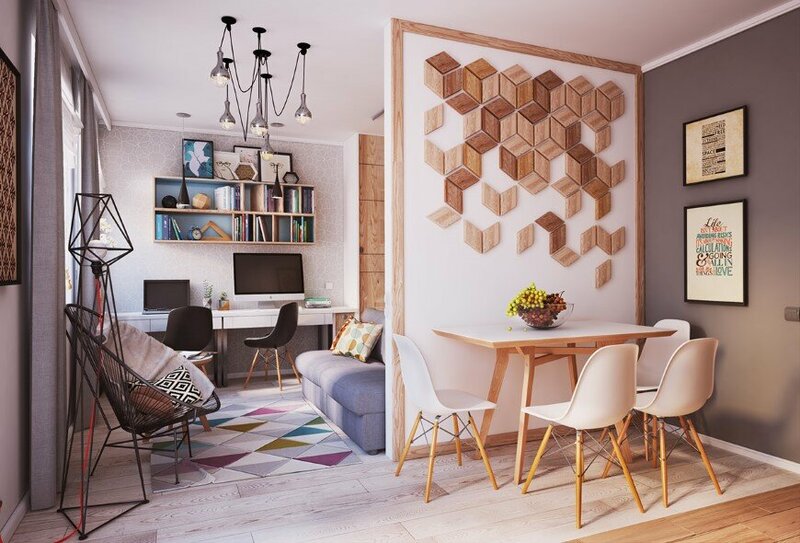 The firm provided architectural design and interior design services for this 510 sq m / 5500 sq ft residence, consisting of two levels plus a basement, on a landscaped lot size: 710 sq m / 7600 sq ft. 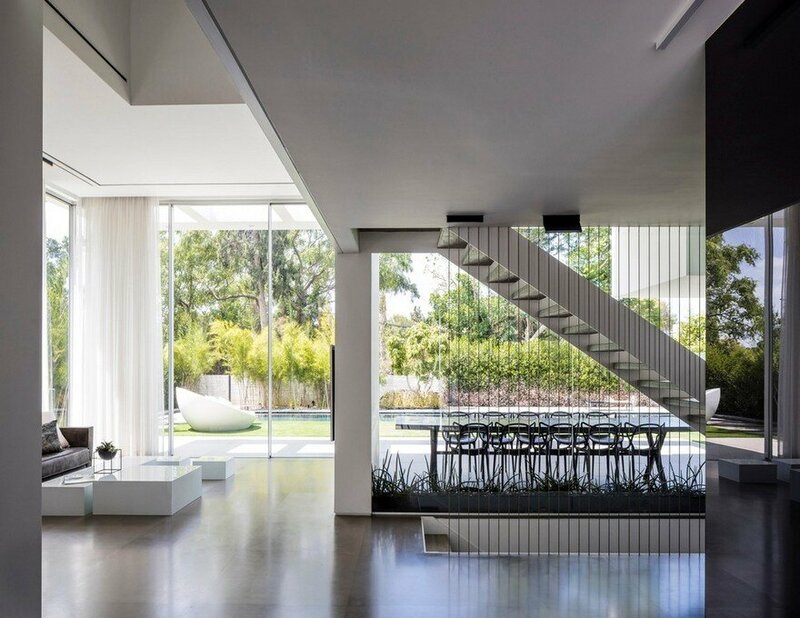 The new homeowners wanted to remodel an existing 1980’s house to reflect their indoor-outdoor lifestyle. 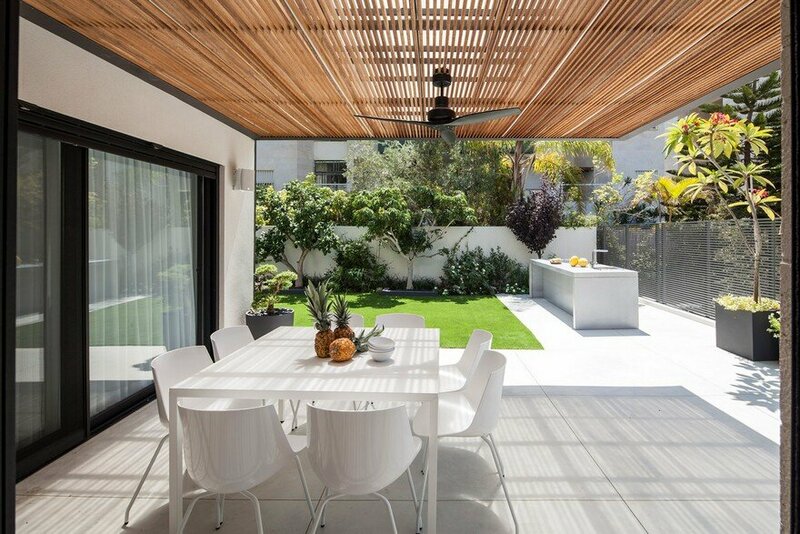 Their family life is now centered around a lush landscaped courtyard just outside their living-dining space. 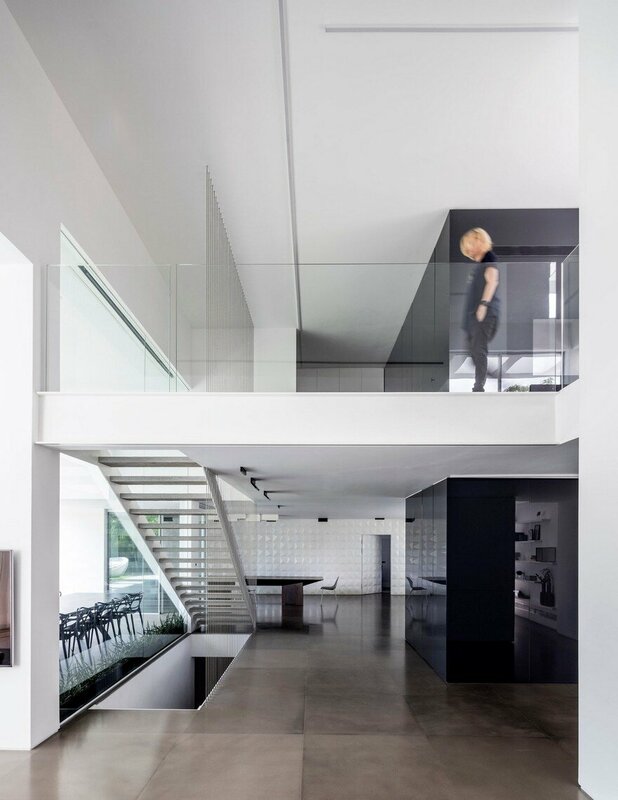 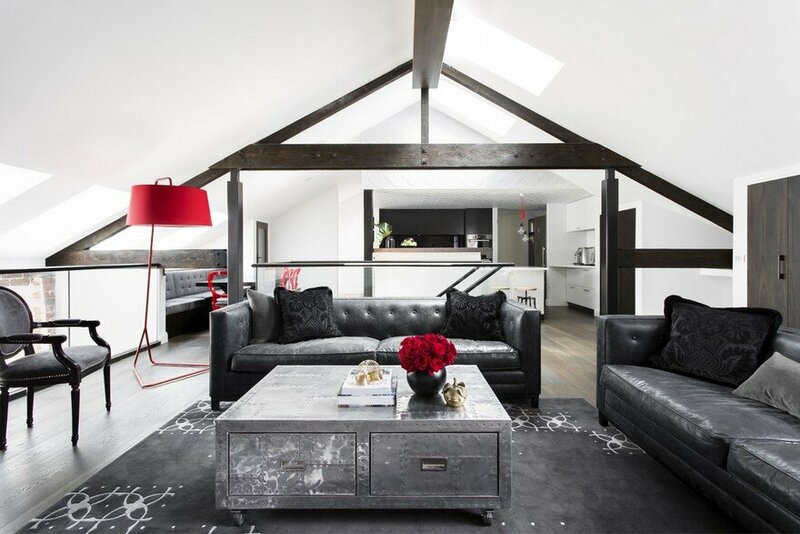 Axelrod Architects organized the house around a new ‘Black Core’, a glossy, black glass elevator that connects the living spaces below to the private sleeping spaces above. 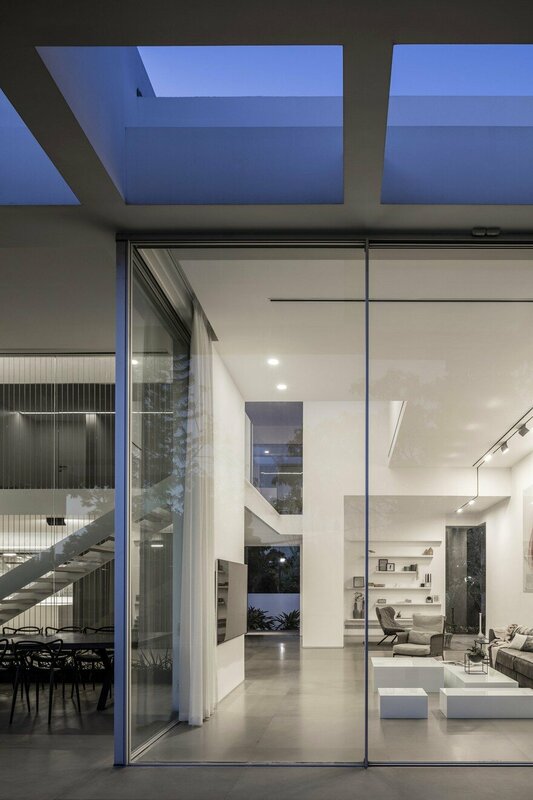 The living space opens out to nature with sliding, clear glass openings, while opening upward to the bedroom level with open balconies and a double height ceiling. 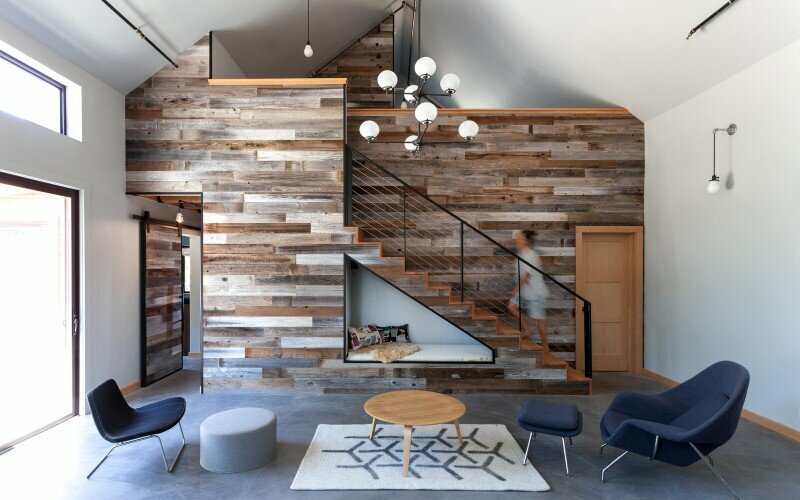 An open reading/media area tucked away upstairs allows the family to see each other while still finding quiet space for relaxation. 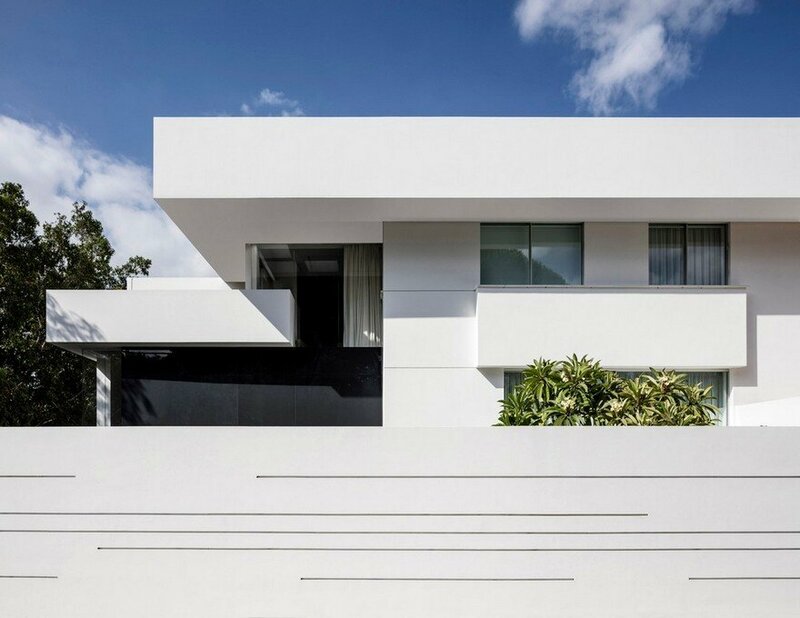 The entry facade of white concrete and matte stucco is perforated by vertical openings and horizontal slits that reveal the indoor-outdoor nature of the home within, presenting a sleek modernist face to a quiet, upscale neighborhood of Tel Aviv. 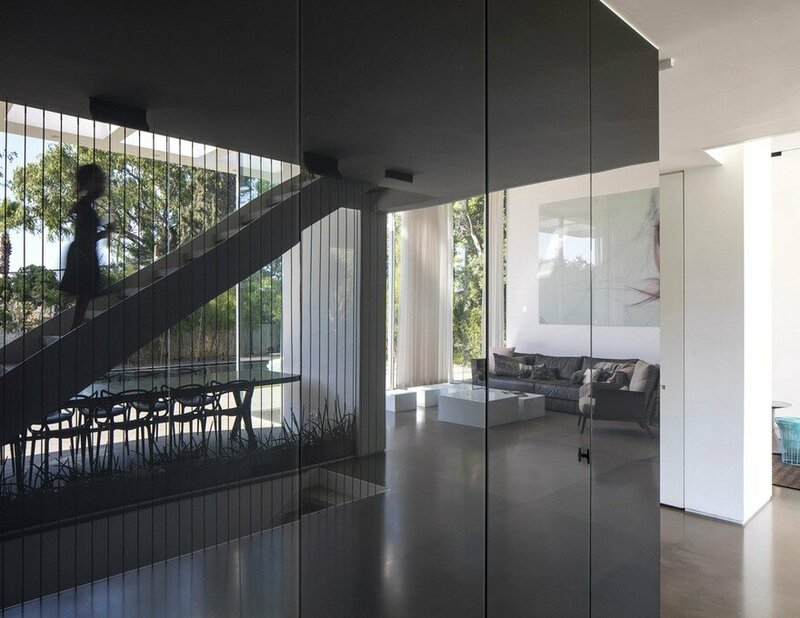 The glass surface of the black core inside reflects images of landscape throughout the house, reinforcing the idea of living in nature. 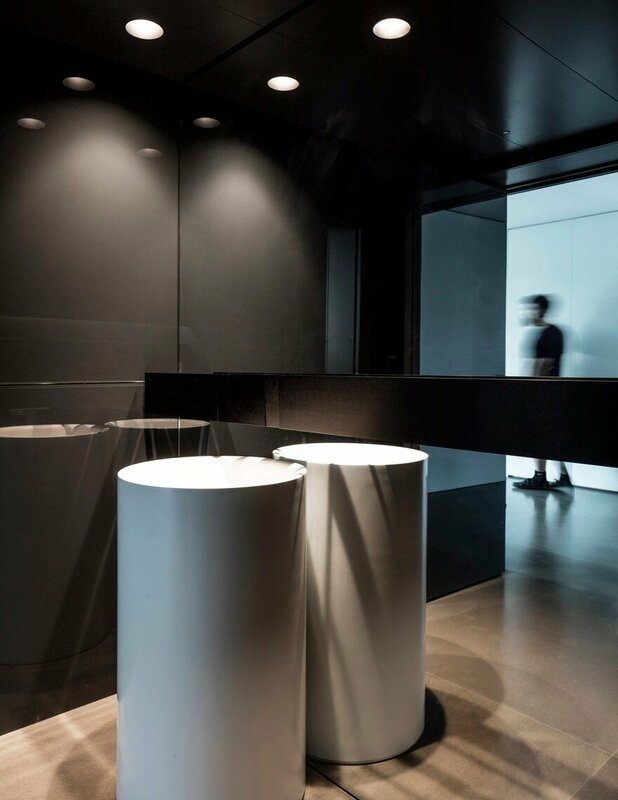 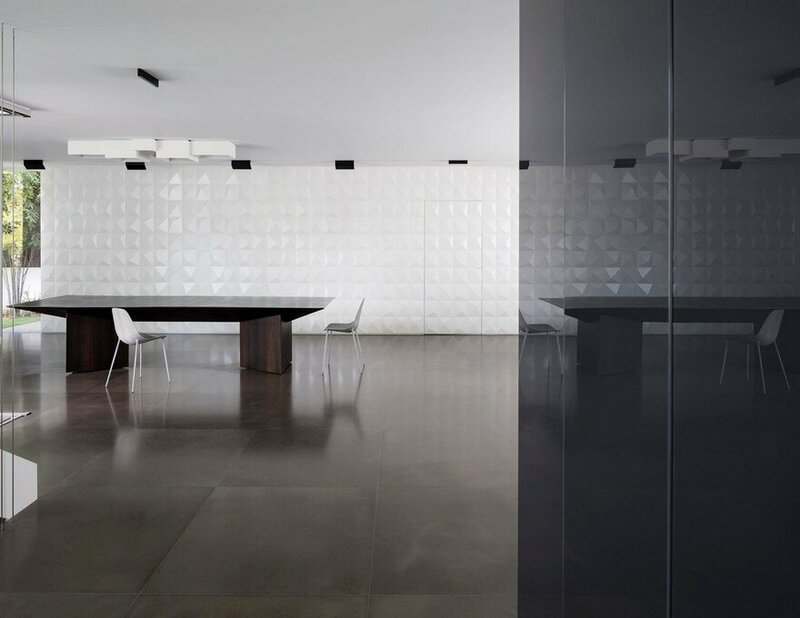 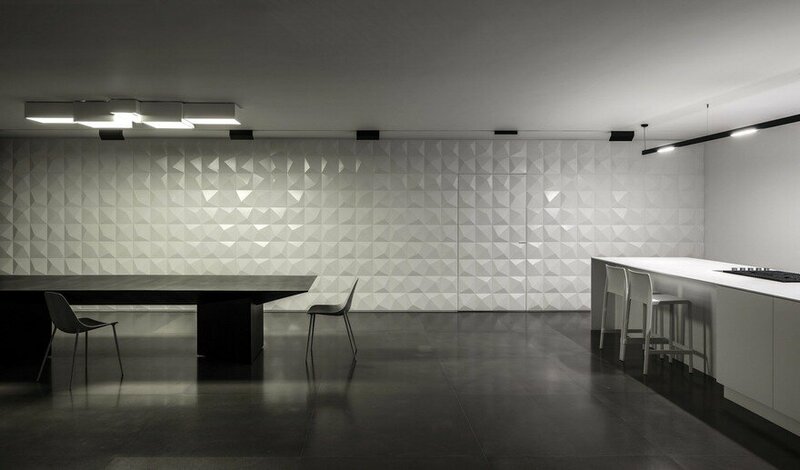 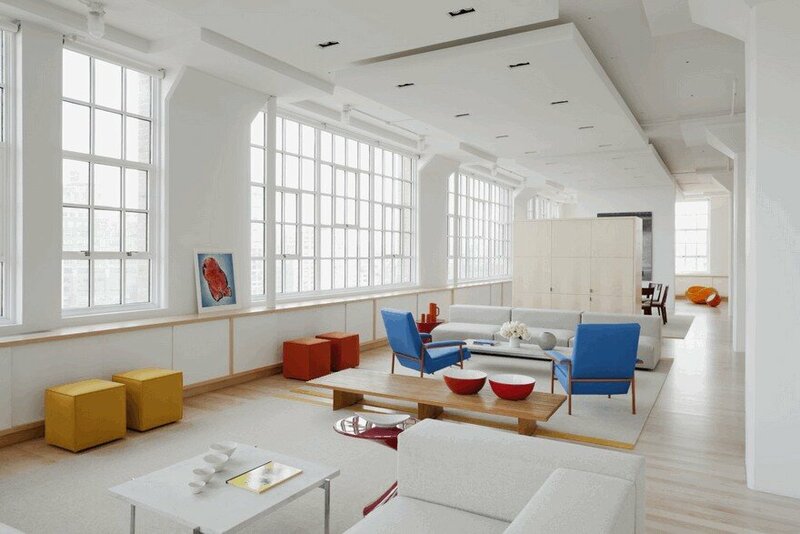 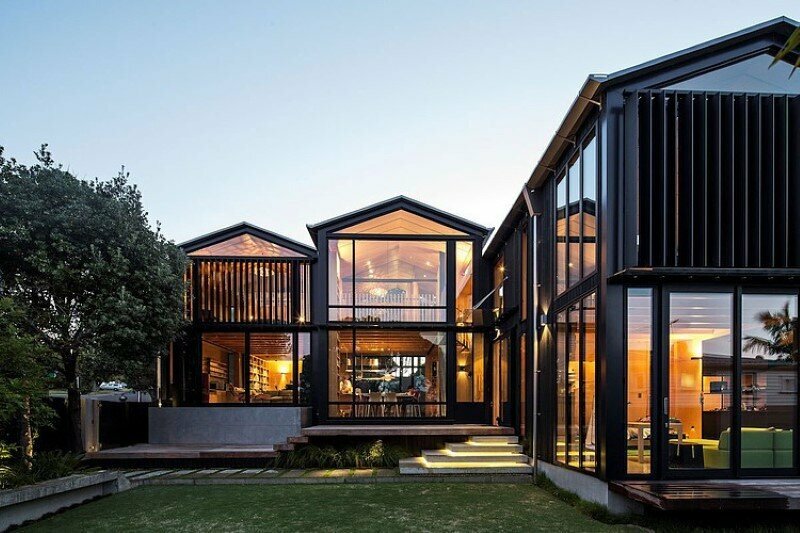 The simple clarity of contrasting surfaces – in black & white or glossy & matte – is one of the unifying characteristics repeated in the interior design and the architecture of the building envelope.